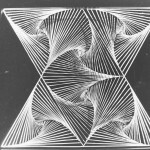 ” «Cybernetic Serendipity,» and presented at the ICA in London in 1968. 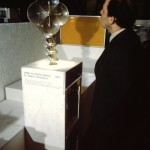 It was the first exhibition to attempt to demonstrate all aspects of computer-aided creative activity: art, music, poetry, dance, sculpture, animation. 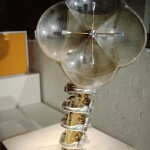 The principal idea was to examine the role of cybernetics in contemporary arts. 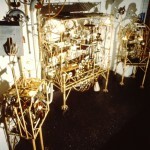 The exhibition included robots, poetry, music and painting machines, as well as all sorts of works where chance was an important ingredient. 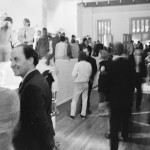 It was an intellectual exercise that became a spectacular exhibition in the summer of 1968. ” Jasia Reichardt.